Find hotel near Saint Demetrius Loumbardi .. Although the Saint Demetrius chapel is a small 12th century Byzantine church, it is its location that contributes significantly to its beauty and relevance. This chapel is built on the of the north tower of the Diateichisma gate, called Dipylon above the Gates. Located on the foothill of Philopappou hill, this chapel is named after an accident when a gunner from a Turkish garrison on the Acropolis was killed by a thunderbolt while attempting to fire a cannon on the Christian congregation. Inside the chapel you can see beautiful Byzantine frescoes and timbered roof that adds to its old world charm. Ask the locals for Daily Mass timings. 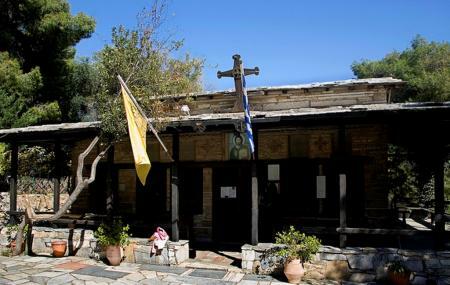 How popular is Saint Demetrius Loumbardiaris Chapel? People normally club together Benaki Museum Of Islamic Art and The Mall while planning their visit to Saint Demetrius Loumbardiaris Chapel.